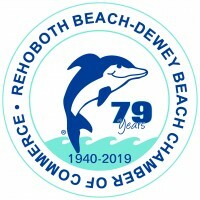 The Rehoboth Beach-Dewey Beach Chamber of Commerce has scheduled a General Membership Meeting for Tuesday, February 12, 2019 at The Cultured Pearl Restaurant. The buffet luncheon will begin at 12 noon followed by a presentation from guest speaker Jennifer Cohan, DelDOT Secretary. $22 per person, includes buffet lunch and soft drink, coffee or tea. Seating at the luncheon is limited, please call Lisa to reserve your space (302) 227-2233 ext 14 or email lisa@beach-fun.com.